With the unknown lying ahead, Ginger finds herself in the sanctuary of Rane’s family home. With ‘The Society’ still looking for Ginger, is she truly safe in Harrison, are the people truly what they seem? Liz Iavorschi-Braun has delivered another excellent book in what is shaping up to be an amazing series. She writes with enthusiasm and delivers the story with suspense and captivation. I soon found myself enthralled in to this second book of the Seven Years Gone series and very much disappointed when it ended. 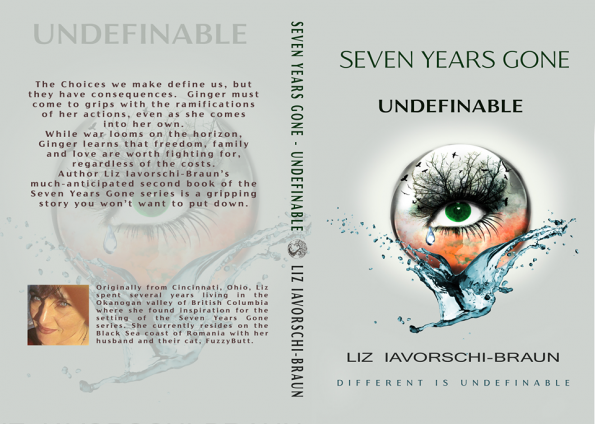 Undefinable is a book of discovery, and a more in depth look into the other characters that Ginger has stumbled upon in Harrison. We discover secrets and facts about the life’s they have both been living, and just how different the two are. This book is full of surprises, twists, and turns. Ginger discovers more than she bargains for whilst living in Harrison; her past is not as she thought, and those who are fast becoming friends, turn into allies when she needs them most. Rane has fast become a favourite character of mine along with his sister Myra. I love and admire the close relationship they share. There is a true mixture of characters in this series, one’s I admire, one’s I find inspirational, and strong, and others that I’d happily like to torture. Ginger’s freedom is not going to be as easy, as she had hoped. Her journey is far from over. I can’t wait to find out where her journey to freedom will lead her and the people of Harrison. 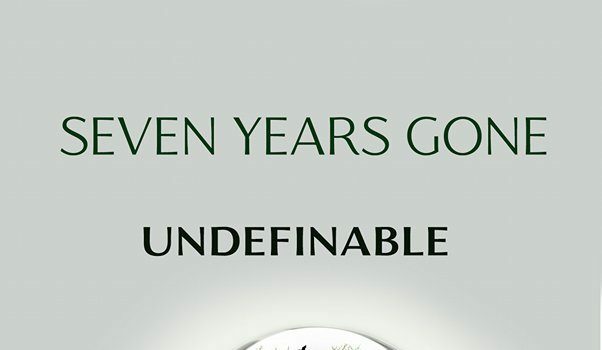 Seven Years gone is great series for dystopian readers, both young adults and us older readers. I am thoroughly enjoying this series and can’t wait for more!